Now I dunno if any of you wanted to ask me for this. But yeah, you've never spoken of it though. But nevermind, I'll just review it anyway. Yes this animated series is awesome though. Never though it'll be so boring. Even if I'm a fan of transformers though. But it's kind of like the same thing though. The decepticons are going after dark energon and everything. It's pretty much the same I guess. And you see that poster up there? Yeah, they missed the characters that were suppose to be put up there. Look awesome though. He's pretty much identical to his G1 counter-part. Just some cool and awesome adjustments. Yeah he was killed by Airachnid. And I dunno about this, that part totally didn't make sense at all. How could autobots or decepticons die with blood? Or oil? Maybe that's energon liquid. Maybe, I'm not even sure about it. Skyquake is resurrected by Starscream. Now this guy is awesom as heaven. I like how sharp those shoulders go, like Megatron's. That's awesome. And I dunno, for a moment there, I thought he's a giant. But look! He's just the same height as Optimus. He's not that big. So he was burried in some kind of desert place and he's also in a large cube that is of course, able to fit him in there. Looks awesome, right? With all those colours applied to the jet. Love it. 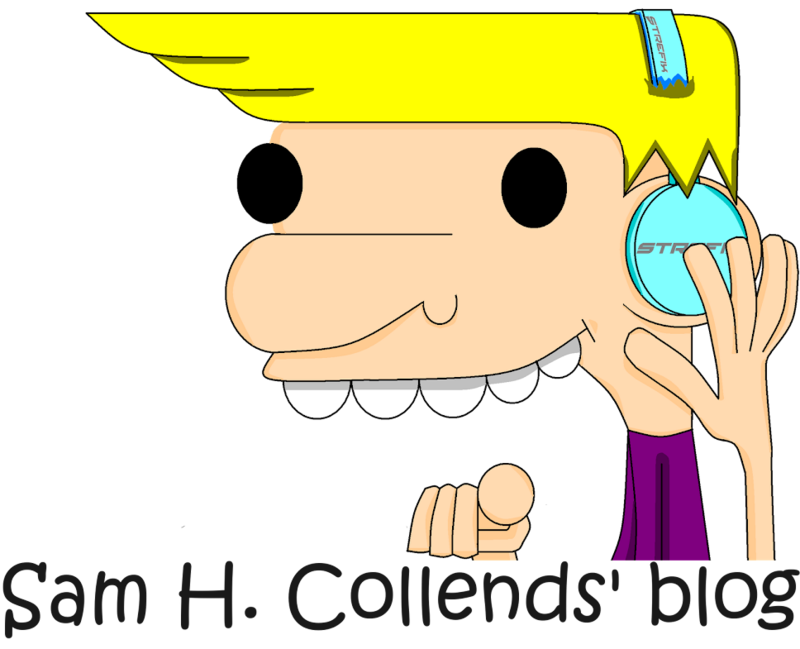 Now I'm not really sure how he looks like, but I think this is the best image I can find for him. Makeshift doesn't really have a form. So as you know, he's a decepticon that comes in a protoform. He just had to go around and find anyone to disguise to. Normally just kill them and scan their body, and Makeshift transforms into them and trick the Autobots into thinking that it is the real them. In the past few episodes, he used Wheeljack. And tricked the Autobots into thinking that Wheeljack is the real one. But it's fake. The real one is kept imprisoned in the decepticon's ship. I can't find any images on Google so I had to go to youtube. Pause a video of him and take screenshot by pressing Fn+PrtSc&SysRq on my laptop. For PCs, it's Ctrl+PrtScSysRq. Didn't look like anything to me in the Prime series. But let's get on with other decepticons. Yes it's this evil looking spider-like decepticon which is a female. Nah I'm just kidding. 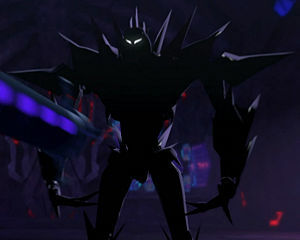 But Megatron is more evil. I dunno how to even describe Megatron though. He's the guy who creates chaos. But yeah, I don't really get what the finishing blow has to do with just laying a freaking sharp finger and scratch it onto their body. That's freaking stupid. Even Starscream did it once in the movie. Stupid. Now I'm not really sure who's Dreadwing. He's just this one-eye decepticon like Shockwave. And he's a jet. And I seriously still dunno who the heck he is. 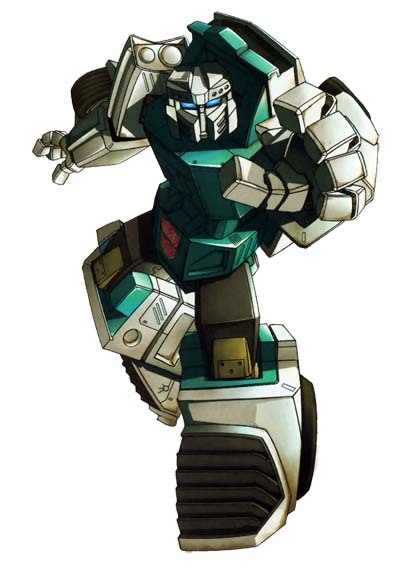 But we're skip onto the next decepticon since I had no information about this guy. The Vehicons are really nothing at all. They're just a bunch of decepticon troopers that does nothing than just a guard. Their face looks kind of like Soundwave though. And nice white chromy mask they got there. Now actually he's in the poster above. I just wanna show how cool he looks like. Anyways, about Skyquake. There's an actual screenshot of him. He was actually dead. After the fight with Prime. Then after Starscream received Dark Energon. He broke it into half. The other half was given to the dead Skyquake and one for Starscream himself. Yeah I like those sharp metal that points outward on his shoulder. Yeah so umm... this is the episode I watched. I watched it online usually because I don't think my cable channels have any episodes of TF Prime. So yeah. Here it is. So yeah, I like the structure and looks of every character. Especially Megatron. Yeah he has those sharp eyebrow tips and that curve. And I dunno why Megatron has lines on his face? Is he old? Maybe because of the voice that is made by Frank Welker. Besides, he's a freaking robot. Not a human. You pedofile....I don't even know why I called you that. Sorry. Yeah so, I can't wait for episode 16 to come out. So it's obvious that I only watched 15 episodes. You can go watch them on YouTube. It's free. Click here to watch the first episode. And yeah, Arcee sound a little bit evil. Usually because she's a woman. Also like Arachnid. That evil spider lady. And don't go "Who are you calling spider lady?" Cuz' she is. I hope she realises. And by she, I'm referring to Arachnid. Anyways, I love the environment of the episodes and everything. Awesome isn't it? Optimus...and Megatron. And look at Optimus. The chest plates windows look like they're not even intacted with his chest. It's okay. I don't mind. I'm actually glad that Megatron got alive after a few episodes. 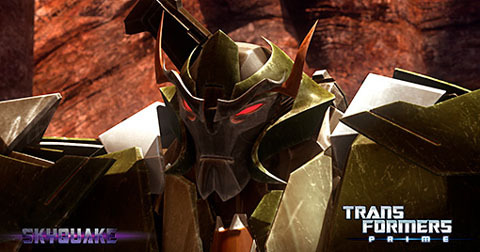 I wouldn't wanna see him die usually because of the fight between Megatron and Optimus. What the heck man? Where is he? And Sentinel Prime! Why isn't he showed in the trailers? Crappy. I hope they make any trailer and this time, it's gotta have Sentinel Prime and Megatron in it. Come on, it's for the fans. But I'm not forcing them to make one trailer. I just hope to see another one with the two of them in it. 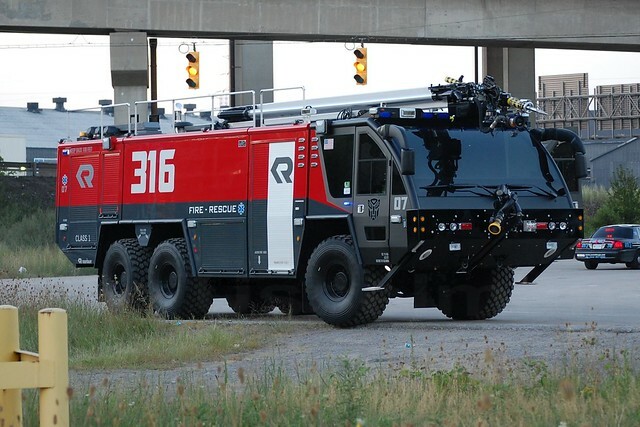 and to me, I'm not really sure what kind of firetruck this is. Cuz' I've never actually seen any of it that looks like this. Really? I just don't know when it was used. But anyway, I don't care. I just hope to see the movie when it comes out in the cinemas. So don't forget to comment, share and get more viewers.